The crispy chicken secret that inspired a global cult following: BonChon Chicken is super crispy yet light and not greasy, with hot moist juicy meat, sauced with the highly addicting soy garlic or spicy glaze. It’s the original Korean fried chicken secret. Its seafood offerings began as local seasonal offerings that have become popular items on the local menu: the brand’s take on the English classic of fish and chips, crispy squid rice, and the raved-about fish taco which was inspired by the California food truck mishmash of Korean and Mexican. At BonChon, the traditional Korean bulgogi is served Asian style as beef bulgogi over rice, Western style as beef bulgogi in a wrap, and BonChon style as crunchy chicken bulgogi over rice. Enjoy the tasty fresh and light options at BonChon: a choice of the Oriental Crispy Chicken Salador the classic Caesar Salad, paired with the refreshing House Blend Premium Iced Tea. As a sweet ending to a BonChon meal, BonChon’s Ko-Yo (or Korean Yogurt) strikes the perfect balance among tart, sweet, cool, and creamy – served in alternating layers with home-baked graham pie crust, and offered in Blueberry Torte and Banoffee Pie variants. 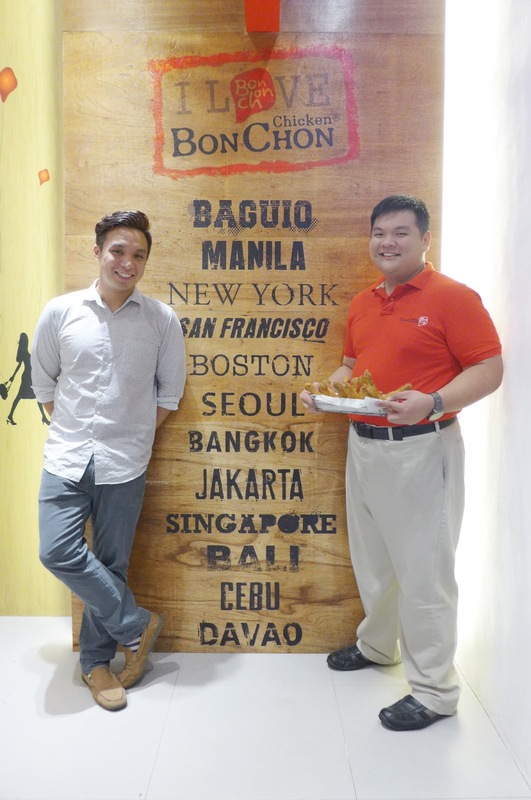 The vision of BonChon Chicken Philippines is to serve as many Filipinos as possible, with BonChon in every key city nationwide. “It is crucial to find the best partners to enable us to best actualize this vision. Opening BonChon in the Summer Capital of the Philippines – and during this brillian summer season, too -- brings this dream one step closer. 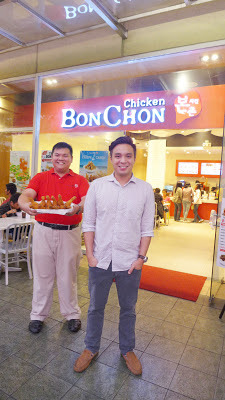 The city’s economy is booming, and we are proud to be part of this progress.We are looking forward to offer something new to the people of Baguio, the same crispy chicken that has made its mark in the international market,” says Scott Tan, Managing Director of BonChon Philippines. Visit BonChon at SM City Baguio, Breezeway Terrace, 2nd floor. For more information on BonChon, log onto www.bonchon.com.ph.